The original George Greenwell - the one my grandfather failed to trace - first pops up in the public domain in 1810. He joins the Baptist community in Sunderland in the February of that year, in the company of three others. He does not have to be baptised. He already has been baptised, with the other three, by a Josiah Cormack, “a preacher in Mr. Haldane's connection”. Although my grandfather had the Baptist notes typed up by his indefatigable secretary at the shipyard, he skated over the significance of “Mr. Haldane”. It implies that George is new to town. But it also tells us a little more about him. James and Robert Haldane were rich Scots brothers who had left the Presbyterian Church in 1799. In 1808, they had rejected infant baptism. Unpopular with church authorities in Scotland, they had brought some strains of independent English puritanism into Scotland. Josiah Cormack (1) and his acolyte George Greenwell are therefore very early converts to the Haldane cause, which was to have profound influences on the development of Baptism, especially its offshoot, the Church of Christ (now often known as The Restoration movement). One confusing thing here is that a Josiah Cormack is himself baptised in Sunderland only two years later - perhaps it's a son of the first one. George's wife-to-be, Mary Wilson, the one who later turned up under the earth in Nottingham, had undergone adult baptism in Sunderland just four years earlier. She had presumably, like her brothers Alexander and William, defected from a Presbyterian community at Spring Garden Lane where the brothers had been elders. Again, perhaps we can see the influence of the Haldane brothers here. Alexander was later to become head of the Baptist community. He was a shoemaker by trade, like George Greenwell the elder, and it is remotely possible that this might have connected them. It would certainly have helped George to get to know Mary, whom he married in 1811. There was another connection, too, since Mary's family is known to have been close to Robert Morrison, later the first British missionary to travel to China (2). Morrison, whose father was a last and boot-tree maker, was about the same age as Alexander Wilson - they had worked together in Sunderland for a shoemaker called Thompson in Bodlewell Lane. Morrison had also worked in North Shields (on the north of the Tyne) as an apprentice patten-ring maker with his maternal uncle, although Morrison proved to be “a handless chap”, that is, totally useless at the craft. And Morrison was himself friendly with George Stephenson, the railway pioneer. It seems very probable that Wilson, Stephenson and Morrison were friends in their teens in the Newcastle area. It is also known that, in the late summer of 1806, on a farewell visit to Newcastle, Morrison not only preached thirteen times, but also met James Haldane there, before travelling on to Edinburgh. Morrison was then twenty-three. It seems entirely reasonable to suppose that Robert Morrison, Alexander Wilson, and the elder George Greenwell were associated with one another, in Newcastle, in 1806, and probably some years before this. And, whilst this does not in any way rule out the possibility that the elder George Greenwell had been born in Wolsingham, it does suggest that his journey to Sunderland was via Newcastle. Morrison was to spend nearly all his life in China. He returned only once to England, in 1824, for a two-year stint, and made at least two journeys to the North-East (he was by this time a sufficient celebrity to be presented to the effete and corpulent George IV, and to be made a Fellow of the Royal Society). The missionary movement in China, later to claim John Kitts, Robert Greenwell's son-in-law, was all Morrison's work, as was the first translation of the Bible into Chinese (between 1810 and 1819) (3). He would have been re-united with Alexander Wilson, and with George Greenwell and his two young sons, and with the Baptist community that had been in its infancy when he last saw his friends. Baptism is essentially about making a public commitment to God when you know what you're doing, and it is therefore pretty keen on the straight and narrow. The strain that had found its way to Sunderland - had found its way first, in fact, as early as 1655 - was the Particular Baptist strain, admired by an independent and sometimes bloody-minded set of believers. The break with the more orderly and fraternal General Baptists had started in 1633 in London. These were dissenting dissenters - dissenters' dissenters, even - and Calvinist in outlook. Sunderland's Baptists were notoriously fractious in the early nineteenth century. Their schisms, rifts, ding-dongs, controversies, walk-outs, cabals and theological in-fighting are remarked on in Fordyce's History of Durham, and in Surtees's four-volume history of Durham. And in the thick of the thicket were the Greenwell, Henderson, Redman and Wilson families. Equally central was John Candlish, later to become one of Sunderland's most successful members of parliament. The rather chaotic record book suggests that Sunday must have been as eagerly looked forward to as a session of bull-baiting, which was coincidentally ceasing as a spectator sport in Sunderland just as the Baptists were getting their act together (although there was one last revival of bull-baiting in May 1822, thirty years later, attracting a large crowd). But you have to say that the Sunderland Baptists had got off on the wrong feet. Their first attempt at a community had fizzled straight out for lack of interest - there just weren't enough of them about to maintain their pitch at Black Bull Quay, where they had a little meeting house as they also had a burial ground off High Street. With understandable lack of restraint, the first chronicler of Baptism in Sunderland, writing in the very early nineteenth century, bemoans the way the former Baptist cemetery has been annexed, thieved, and built on, with a “shameful disturbance of bones”. One report suggests that a cart was filled with bones during the excavations, some of the bones being skulls with the hair still on, and that they were re-interred “underneath the stairs” of one of the new houses. The Baptist writer says he was an eye-witness to this (he names two other witnesses to back him up, although he doesn't say who he is). So their first memorial garden has been desecrated, and their meeting-house merely an item in the will of the heirs of one Benjamin Hodskins. In 1748, there was good news for aspiring and practising Baptists. An Independent minister called John Pine - recommended by Baptist minister John Ferney, from Bishop Auckland - offered to lead their community, and they set up shop in Ettrick Garth. Alas, this outbreak of fervour did not last, because Mr. Pine required some income on which to live. After five years, he moved on to Shrewsbury, leaving them to look for someone else prepared to subsist only on prayer and promises. They found a Mr. William Laden, who at least lasted a commendable five years, before deserting his post by dying in it. At this point, there was manna from Whitehaven in Cumberland, in the shape of a Mr. Strafen. Mr. Strafen showed he meant business straight away, by telling the assembled few that he wasn't satisfied with their meeting house. He persuaded them to shift their ground a mile or two down the road to Bishopwearmouth (now so integrated into Sunderland that you would not think of it as separate, especially if you're talking Queen Street, which he was, and which is now pretty central). The new meeting house involved the colossal sum (for 1763) of £100, which meant a mortgage and ground rent. The annual bill was £9.10s.0d. This was very steep indeed for a small group of keen Calvinists being asked to go that extra mile or two for their piety. They couldn't really afford it. But Mr. Strafen was keen, and he'd come all the way from Whitehaven, so they coughed up. One hates to say it, but the Sunderland Baptists loved to pick a loser. By 1766, Mr. Strafen, who had forced them to up sticks, and to build a new meeting house, had gone completely batty. He had - oh dear - “fallen into the Sandemanian tenets”. On the face of it, this is a theological quarrel. The Sandemanians were another group of influential Scots thinkers (their members included Michael Faraday), who wished to move to a more stripped-down, more fundamental set of principles. One of these was a belief in “plurality”, rather than leadership by a pastor, and Strafen would seem therefore to have cancelled himself out. However, Strafen seems to have been rather more off the wall, since what he also did was to deny the deity of Jesus Christ, not in the Sandemanian text-book. This was a bit drastic. Mr. Strafen had to go, and did. It looked like curtains for the shrinking congregation, but a wealthy benefactor usually steps in at storybook times like this. The rescuer was once again David Ferney, who had first provided Mr. Pine, and who managed to scrape together enough to remove the millstone mortgage from round their necks. Good news was at hand by 1773. A renegade Methodist called John Bowser, attracted by the Baptist doctrine of “free Grace”, allegedly neglected by the Methodists, got himself baptised, and offered to lead the no-longer numerous Baptists back to self-sufficiency. He looked around him at Mr. Strafen's idea of a good location, and shook his head. They were too far from town. (Nods all round.) Whose idea was this? (Strafen's.) Tsk. He got them to sell the meeting-place in Queen Street, and shift themselves to Maling's Rigg, where of course the new place needed fitting and kitting out. So they lost money on the sale. Whose fault was that? Strafen's. Mr. Bowser was the business, and in no time, the attendance was once again on the up. He was ordained by three senior Baptists from Newcastle. By 1777, Mr. Bowser had looped the loop as well. “This pleasing effect was soon blasted,” remarks the Baptist historian. “Mr. Bowser's conduct was unbecoming to his status as a Christian gentleman and a Christian minister.” What had he done? The Baptist scribbling his history does not tell us. It was probably drink, but it could have been women. Or, as we shall see, it could have been something far more serious - a theological argument. Anyway, Bowser went, the meeting house was reclaimed by the local landlord, and if you wanted to be a practising Baptist, you had to go to Newcastle, or Hamsterley (near Wolsingham, in Weardale, Greenwell country), neither of them especially convenient if you had second thoughts about getting as far as Queen Street. Come the hour. The first really good news for the Baptists in Sunderland was William Greatrex, one of four Sunderland people - two men, two women - to get themselves to Newcastle and to be baptised there between 1790 and 1794. Fired by the enthusiasm of the Newcastle community, they gathered together a mixture of the old and new Baptists for meetings: Reading, Singing, Prayer, and the more strenuous, one supposes, Exhortation. A minister from Newcastle would sometimes come over to lend support. The Sunderland group sought permission for “dismission” - the right to switch to a new community where they lived. They wrote to both the local Baptist communities, and received fulsome letters of support. All they were strapped for, as per usual, was cash. They had found a good site in Sans Street, more central to Sunderland proper, but equally accessible to those from Bishopwearmouth. William Greatrex quite literally put his best foot forward. He set off on foot on the 6th April 1798, 172 years to the day before I passed my driving test by idling round Bishopwearmouth, with Scarborough as his first stop. Greatrex walked the country asking for donations, and sending them back as he went (certainly they started to build on July 9th, and he didn't get back until October 5th). Greatrex moved from Scarborough to York, from York to Chester, from Chester to Bristol. There is a nice, probably apocryphal story, about what happened when he reached Bristol, and met another, unrelated William Greatrex, and asked him if he would contribute. “No, sir, I cannot conscientiously subscribe to your sect,” the potential donor is alleged to have replied. “I am a Churchman” - no-one speaks like this, do they? - “but I am much pleased with your devotion to your own belief, and although I cannot give anything to this Baptist cause, pray accept this £10 note for yourself.” You have probably already composed the reply, but here it is, anyway. “Sir, I am much obliged to you, but I am not begging for myself. I cannot, therefore, accept your offer.” This story may be phoney, but the £157.00 he raised wasn't. His living expenses for the six months came to a mere £3. 15s. 0d. They finished the chapel, presumably by judgment rather than luck, on Christmas Day 1798. They treated themselves to three sermons - one in the morning from Charles Whitfield of Hamsterley - “And there they preached the gospel” (Acts 14.7), a rather easy one on which to expatiate, I'd have thought. In the afternoon, Mr. Thomas Howsell of Newcastle spoke on “So the heathen shall fear the name of the Lord, and all the kings of earth thy glory” (Psalm 102, verse 15, and another fairly adaptable text). On Christmas night, they sat back to Mr. Whitfield again - “We know that we have passed from death unto life, because we love the bretheren. He that abideth not his brother abideth in death” (I John, 3.14). The attendance was good, so let us hope that Mr. Whitfield gave good value. They had a pastor - a Mr. William Bigg had been generously released by Newcastle - and there were nine full members, properly baptised, five men and two women, in the community proper. This included two men, Samuel Atkinson and William Watson, who had been baptised in the river Wear near Southwick during Greatrex's round trip. Three more were added, including a Robert Allison, in 1799. You were required to come before the church, “give in” your experience, be approved by show of hands, be baptised by immersion, and then sit down as full members of the local Lord's Table. I don't think anyone could pretend it went swimmingly. In the first nine years of the newly founded community, twenty-three new recruits were immersed and accepted. Their subsequent history is faithfully set down in the records. One of them was a seaman, and his business took him away. Of the others, Robert Allison was excluded for being intoxicated. Bigg's brother and one of the founder members, Agnes Swan, and one other, withdrew on October 27th, 1812, when something untoward must have occurred. Another soul made the fairly classic mistake of denying the divinity of Christ, even after two “admonitions” from the others. We are referred in the ledger to Titus 3.10 (“A man that is an heretick after the first and second admonitions reject.”) In fact, of the original twenty-three, only twelve actually stuck it out, although one of them did change his mind and return a few years later. And even one of the two baptised while Greatrex was away, Samuel Atkinson, is “set aside” for disorderly conduct. Of the next thirty, only seven turn out to be lost causes, which is a better strike rate. One of these is smitten from the records because he is smitten. He is given the heave-ho for “receiving the addresses of an unbeliever, known and acknowledged by her to be such; was admonished. Slighted and refused advice, withdrew and married.” Other problems over the first thirty years of this apparently iconoclastic lot include “walking disorderly” - this sounds like the demon drink again to me - and the rather worse offence of “walking disorderly and attending the theatre”. One James Hill came within a whisker of expulsion in about 1808 for “advancing the knowledge of Christ without the word (‘Where the Spirit of the Lord is, is Liberty'), contrary to How Shall They Believe On Him Of Whom They Have Not Heard,” a mystifying infraction for which Hill was admonished, but “shewed a degree of obstinacy, requested he remain, [and was] allowed”. This was the sort of fighting spirit required in Sans Street. In 1811, within weeks of the marriage of my great-great-great-great-grandparents, a William Lamb was excluded for “having purchased a circulating library of books, evidently tending to corrupt the minds of youth. After several admonitions to give it up, and acknowledging it to be wrong, [he] still continued the same for the sake of its lucrative advantage.” Out you go, Mr. Lamb! The Greenwells and Wilsons are pillars of the community - the Wilson brothers are appointed deacons in 1809, and Alexander becomes the pastor in 1820, a post he retains until his death (Greatrex had meanwhile gone to Hetton-le-Hole to found a new community. Hetton-le-Hole, which is only about six miles from Sunderland, is where the first George Greenwell is said to have been ‘of' on Mary Wilson's death certificate. Perhaps he went with Greatrex. It may be that he is the rag-dealer listed there in an 1828 trade directory, although thisconflicts with the description of him as a shoemaker on the marriage certificates of both sons.) In 1836, four people in their early twenties are baptised: Robert Greenwell, George Greenwell, Ann Henderson, Jane Redman - which is to say, the first George Greenwell's sons, and their wives-to-be. Jane Redman was not the only Redman in the community; indeed Alexander Wilson's successor was James Redman, her brother. One pivotal figure in the Baptist Church was John Candlish, just two years younger than Robert Greenwell, with whom he was to be a business partner later. Sunderland was a centre for shipbuilding, but also for glass and pottery (Ann Henderson's father, Thomas, was a potter). Candlish's father had migrated to Sunderland from a hamlet on the north side of the river Tyne, after the death of his wife. He took up work as a labourer in the Ayres Quay glassworks where Robert Greenwell worked as a child, and it is likely that this is where Candlish and Robert Greenwell first met, in the late 1820s. Candlish, however, was apprenticed at the age of fourteen to a drapery business in the High Street. He stayed there for six years. Throughout this period, he was also studying - algebra, French - and, like many of the Baptist members, he was well read. He joined the Sans Street Baptist community after defecting, like Alexander Wilson (who baptised him), from the Presbyterians. Candlish's career is quite hectic. He is a draper's apprentice; he is a rate collector; he sets up a drapery shop of his own; he packs it in and becomes a commercial traveller for a Bradford firm; and then in 1842, he joins forces with a man called George Richmond to buy and edit a conservative newspaper called the Sunderland Beacon . This collapses, and leaves him with a pile of debt. He now works as a coal exporter, but within a year is running a shipyard later to be acquired by Robert Thompson and to become one of Sunderland's major employers (and eventually to be merged with Greenwell's ship-repair yard). Then he becomes Secretary to the Sunderland Gas Company. But this doesn't suit, either, so he goes into partnership in a glassworks. He also starts up another newspaper, the Sunderland News . His big break comes when he starts a bottle manufacturing business in Seaham Harbour (just down the coast from Sunderland). His partner was Robert Greenwell, whom he had known since he was a child, and who was at that time (1853) living in Seaham Harbour, too. Robert Greenwell had been working in a forge and as a fitter in the shipyards, but he had also been well-educated. The partnership between the shyly pious Robert Greenwell and the itchy, instinctively gadfly John Candlish was an unlikely one, and it came quickly to grief. Candlish bought Robert Greenwell out, and then went on to make a colossal mint, with the patronage of the Marquis of Londonderry. The bottle works - soon no longer the Seaham Bottle Works but the Londonderry Bottle Works - became the largest bottle business in Europe. Candlish went on to become a shipowner (heading the Sunderland Shipowners Society in the 1860s). In the meantime, Candlish had been elected as the council member for Sunderland's West Ward (1848), became the Mayor in 1858, and subsequently Sunderland's Liberal MP in 1866 until shortly before his death in 1874, having been in the meantime a river commissioner, a magistrate, Chairman of the Board of Guardians, captain of his own volunteer corps, principal of the Orphan Asylum, and Deputy Lieutenant of the County of Durham. His political views, initially conservative, became increasingly radical. When he died, there was a huge public subscription for the monument erected to him in Mowbray Park, the unveiling of which was a great public occasion. Robert Greenwell, his erstwhile partner, founded a new bottle works in Southwick, and watched as it went bust, being bailed out by his son, the socially mobile Thomas George. At this point, he retired from employment, having missed out (so his wife Ann thought) on the millions that the Londonderry Bottle Works made for Candlish. In fact, Candlish's favourite story about his own success was about a parliamentary visit to India in 1870, where he was served beer in a bottle made by his own company - although quite why the champion of temperance was drinking beer at all is not perfectly clear. The partnership between my great-great-great-grandfather and Candlish is surprising for another reason, too. There had been terrific ructions at the Baptist chapel in Sans Street after the death of Alexander Wilson in early 1846. The normal disharmony had been replaced by an outbreak of major mud-slinging. Candlish, Robert Greenwell and another man called John Bruce had been put up as the custodians of the Chapel of Burial that year, and although Candlish declined the offer (it wasn't as if he was short of things to do), relations appear to have been cordial enough at that point. But by 1847, something has gone very wrong with the congregation (now about 150 strong, at least in the evenings). That this Church is of the opinion that the Pastoral office is that alone to which the Scriptures have attached authority , to teach and rule in the Church of Christ: that it therefore deprecates any claim of authority , on the part of any private member, to teach, otherwise, than by the appointment and approval of the Pastor and that the Church further expresses its unabated Confidence in, Christian sympathy with, and brotherly affection for, its Pastor, under the present trying circumstances through which he has had to pass. The local Baptist records do not say anything about what had led to this pass, but it would appear that James Redman, the new Pastor, had pushed a few noses out of joint. There is also an argument going on here about individuals having the right to preach their version of the gospels without permission. We must assume that the opponents of this motion (which was carried by forty votes to seven) were the ones who held the different opinions about the Pastor himself, and who had spoken out in the long debate that preceded this motion about the right to offer moral instruction without an official by-your-leave. The opponents, who upped sticks and resigned in another great Sunderland Baptist miff, included Robert and Ann Greenwell, their niece Mary Wilkinson, James and Helen Henderson (James was the brother of Ann Greenwell), and John Bruce and his wife. They sent in a letter, alleging aggressively that “the Church by adopting the above resolution has descended from its vantage ground to the recognition of a Human Creed”, an opaque allegation that seems to imply that Candlish, Redman and company have lost their theological grip. It is interesting that Robert is the nephew of Alexander Wilson, the previous pastor, with whom in fact his mother had been living since her husband's death - or so the 1841 census implies, whatever my grandfather thought. Perhaps the spat was a family spat; after all, Redman was the brother of Jane Greenwell – Robert Greenwell's sister-in-law. Nevertheless, the Greenwells and company left Sans Street at an exciting time. In October 1846, just a year before their split, the nearby Wesleyan Methodist chapel had drawn a huge audience of 3000 people (700 had to wait in the street, and the others must have been hanging in clusters from the rafters) to hear an American evangelist called James Caughey. Caughey had phenomenal success, and a great influence upon the founders of the Salvation Army, William and Catherine Booth (who were Wesleyans based about ten miles away in Gateshead). It is unlikely that such revivalism was to their taste. 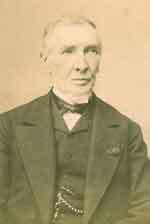 That John Candlish be expelled as a contentious person, a disturber of the peace and harmony of the church, and for the manifest contempt poured upon the pastor, and the Church, at its last general meeting. The Church's favourite son, who has loyally supported James Redman, is now corralled by his former colleagues and unceremoniously cast into the outer darkness. Perhaps this brought about some reconciliation between Robert Greenwell and John Candlish, long enough for them to sink their differences and found a bottle business. It is hard to say. And with typical disregard for consistency, and perhaps realising they had kicked out one of Sunderland's early top dogs, the motion was actually rescinded eleven years later, and Candlish was welcomed back into the fold. The Greenwells, however, never came back. And Ann Greenwell spent the rest of her life casting aspersions on Candlish. It is unlikely they joined the huge crowd which watched the unveiling of the much-hated statue in late 1875. The statue of John Candlish in Mowbray Park (right) unveiled in October 1875. One of Sunderland's most successful businessmen in the 19th century, and briefly in business with my great-great-great grandfather Robert Wilson Greenwell (1814-1890). My great-great-great grandmother Ann (Henderson) Greenwell (1816-1888) reportedly used to spit at the statue when taking her grandchildren out for a walk. Ann and Robert are pictured below. These pictures are probably taken in the 1870s, at about the same time the statue was unveiled to great acclaim. The Bethesda Free Chapel had been founded in 1844. Its mood must have been immediately more congenial to Robert and Ann Greenwell after the petty skirmishes and backbiting in Sans Street. It was in the Bethesda Chapel, too, that they would meet and make friends with the Kitts family - the place where Margaret Greenwell, Robert and Ann's daughter, would come to know John and Joseph Kitts. She would marry John; but it would be Joseph, by the end of the century an elder of the Chapel, who brought up Maud, effectively orphaned as she was at birth. Maud's grandparents, John and Margaret Kitts were contemporaries of Robert and Ann Greenwell; like them, they had eight children who survived infancy; like them, they lost one child before the age of ten; their first and last children were born in the same year. They even died at about the same age, and their respective graves are close to one another in Bishopwearmouth Cemetery. Robert Greenwell named Joseph Kitts (“my old friend”) as his executor. Arthur Augustus Rees, who founded the Bethesda Chapel (still open for devotion) was another renegade Christian, although he had led a colourful life before settling in Tatham Street. Born in Carmarthen, but with Bristol connections, he had served in the navy at the age of 14 (he was the same age as Robert Greenwell), and disliked the experience intensely, having been nearly drowned and frequently lashed. After managing to be invalided out, he tried his luck as a street musician (4) (dressed in Greek costume, and playing the guitar) in London. His act went down like several lead balloons. This is an unusual way of kick-starting a career in preaching, but it is apparently what happened. He took to the gospel with sufficient ardour as to learn Latin and Greek, and to persuade some wealthy clergymen to pay him through Lampeter College in Wales. By 1839, the year of Robert Greenwell's marriage to Ann Henderson, he was considered qualified to take up the curateship to the Anglican rector of Sunderland, a William Webb. The Reverend Webb soon regretted his new assistant's arrival. Rees was a pint-size, charismatic, off-the-cuff speaker who was soon drawing in colossal crowds, and speaking in a way that was more often associated with the town's dissenters. Webb contacted his bishop, and gave Rees three months notice to quit, ignoring a petition signed by over a thousand people. He retreated to Bath, where he gained a living after several rebuffs, only to be turfed out by the Bishop of Bath and Wells. And so he came back to Sunderland, a non-conformist by default, although this time with an inheritance to invest. Despite some opposition from his former opponents, who blocked at least one plan to build a chapel, he found the Tatham Street site, and had the new building completed within a year. In the meantime, he had easily re-established his credentials as a public speaker around the town. At the Bethesda Chapel, what Rees said, went. He adapted the Anglican service or abandoned it, more often the latter. He refused to charge those who came to hear him, and his congregation was soon the largest in Sunderland - an amazing gate of 1,400. Some were perhaps watching to see what his next eccentricity would be - one favourite was to pick godparents at random from his audience. Certainly you had to stake your claim to a good seat early. He was perpetually enthusiastic. He held out against the use of any musical instrument in the chapel until 1870 (it was seen as suspiciously Catholic). He was also violently opposed to women preaching the gospel, a piece of misogyny that fired Catherine Booth, who had read a pamphlet Rees wrote to repudiate the idea, to take up preaching in a big way. One other run-in he had with the women in his congregation occurred when a fashion for hooped crinoline in 1858 took hold. Each pew held, as a result, one or two fewer believers. Rees fulminated in vain against the fashion. The crinoline wearers budged up, rather than change their gear. Rees placed boxes by the door for voluntary offerings towards his upkeep, and had a sign put up with the words “The Labourer Is Worthy Of His Hire”. Just how tidy a sum he earned was never revealed, since he kept his own accounts, and the keys to the boxes, although he complained that many took the word “Free” in the title of his chapel too literally. Theologically, he moved more and more close to the position of the Baptists - he was himself baptised as early as 1845 - so it would have been easy for the Greenwells to fit in. His views were openly political, and he railed against the hypocrisy of the governments of the day, notably Disraeli's. He was also an open millennialist, telling his congregation to prepare for the second coming. As we will see, it is highly likely that Robert and Ann Greenwell shared these views. Quite what my ten-year-old great-great-grandfather thought of his visits to the Bethesda Free Chapel, it is hard to tell. There is no obvious record of any churchgoing at all in his later life, in contrast to Margaret and Emily, his youngest sisters, who were very much at home in this strange, turbulent, but energetic branch of Sunderland dissension. What a curious succession of marriages and funerals Robert and Ann Greenwell must have had to observe in their family. Tom's expensive and luxurious marriage to Ann Herring was followed by Mary's short-lived union with the meek, pale, rather ill Henry Hoskins. Lizzie had got hitched to a rough-and-ready mariner, Robert Hallewell, who had already been married and widowed within the previous two years. William married into a connection of Tom's when he married Jane Brown. Margaret's was the only Bethesda Chapel marriage, to the slightly raffish-looking missionary, John Kitts. Emily married a painter and decorator, Walter Knight, and became the only child to move away from home. The others stuck resolutely to Sunderland - Tom was the only one who did not live centrally. The extravagant houses in Roker were more to his taste, with the sea rolling in towards his large open gardens, and an endless procession of well-dressed children enjoying the air. It must have been a very different world from Lizzie Hallewell's world. There was Tom, enjoying the service of housemaids, sending his sons to boarding-schools, investing in ships, houses, land. 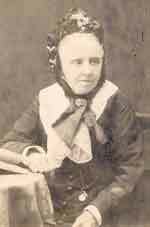 Lizzie, only two years younger, was eking out an existence as the “widow” of a fugitive and criminal seaman, working as a hosier, and trying to bring up her three children, Willie, Annie and Ethel. He was trim and spruce; she was overweight and slightly dowdy. She had had shame brought upon her; he was quite possibly already shaming himself. Tom bailed her out as long as he did not have to have anything to do with her. He let his silversmith brother William be the go-between. The grandparents Robert and Ann must have watched them live a life of considerable contrast. In 1883, however, Robert and Ann, now turning seventy, had to face up to a really appalling tragedy from which two of their grandchildren were very lucky to escape with their lives. Annie and Ethel Hallewell had come home from school excitedly one weekday in mid-June, clutching yellow handbills. A Tynemouth entertainer called Alexander Fay had organised their distribution round the local classrooms. He promised “The Greatest Treat For Children Ever Given” - a heady mix of conjuring, talking waxworks, living marionettes and “the Great Ghost Illusion”. And the price for this extravaganza? One penny. Perhaps the most exciting word on the handbill, the one that was to draw well almost two thousand children to the Victoria Hall in Toward Road (just behind Tatham Street), was this one: PRIZES! “Every Child entering the room,” announced Mr. Fay, “will stand a chance of receiving a handsome Present, Books, Toys etc.” Three o'clock on Saturday could not come quickly enough. Annie and Ethel - fourteen and twelve, respectively, and therefore amongst the older children, the average being about nine - were allowed to go on one condition, and one condition only. They were not to go for presents. Lizzie Hallewell had her pride. They were not to go for presents, because they were not in need of them. The Victoria Hall had opened in 1872, and had been the venue for several major events, religious and theatrical - or in one recent instance, a strange amalgam of the two in the person of a Mrs. D'Auffray, or, as she styled herself in her addresses, “The Escaped Nun”. (She was actually an Edith O'Gorman, who was a popular crowd-puller with non-conformist ministers, since she claimed to have suffered severely from six years' brainwashing in a New Jersey convent, an anti-Catholic act she was still taking round the country ten years later.) The Hall had a capacity of 2,500 adults, and, as Mr. Fay (and his business partner, his sister) already knew from a performance in Newcastle, his Grand Day stood a good chance of pulling in half the children in the town. Takings would easily top £200, a tidy sum, into which the prizes would hardly eat - the idea was that those with numbered tickets would get their goodies on the way out. Unaccompanied children - very few of them were accompanied, and some were as young as three years old - can be a handful when excited and en masse . The performance went well enough, with great shrieks and gales of excitement. A few boys had to be reprimanded for misbehaviour (spitting from the gallery), and more than a few hats flew down from the gallery to the pit. The whole performance lasted about an hour and a half, with an interval. Fay built up to his finale by producing pigeons, which flew round the hall, but his final trick was a hat trick, in which toys were conjured out of the hat, and thrown to the audience. All right if you were in the pit. Not much cop if you were in the gallery, and out of reach of the conjuror's throw. “You will get yours on the way out,” Mr. Fay reassured the children up beyond the balcony. A man called Hesseltine was deputed to hand out prizes at the door by which the gallery children left. He lofted them onto his head to try to control the process. Children try to beat systems. One boy managed to take four or five prizes on his way out. This kind of cheerily underhand behaviour was the reason the door had been fixed on the way in - to let the children in one by one, preventing any miscreants from attempting to save the penny so precious to punter and performer alike. To get to the still-fixed - or, according to some accounts, re-fixed - doorway at the end of the performance, coming down from the gallery, you had to come down three flights of stairs, seven feet wide, and each step seven inches high. Annie and Ethel Hallewell were in the gallery, but they didn't rush. Their mam had said not to take presents. Besides, at the advanced ages of twelve and fourteen, what was there to excite oneself about? There were twenty-two inches through which each child had to pass to get out into Laura Street. With whoops of excitement, the children were out of the seats, and off down the stairs to pick up their goodies. “First to the door gets a prize,” called one of the four men on duty, cheerfully. The stampede knocked the breath out of him. Child after child, some tumbling, some tripping, some carried upside down in the crush, headed for the door. By the time the four men charged with the impossible task of stewarding the children through the door had recognised the gravity of the situation, it was completely out of control. The fat smack of applause and the gasps and cheers had turned into howls of fright, choking, children literally piling upon one another, gasping, vomiting, wailing, dying. At first, the few adults still in the body of the building, and the children trampling forward must have mis-heard the noise as a rising crescendo of over-excitement. Meanwhile, the children lay literally in layers, their clothes ripped, ribbons and buttons and garters and boots pulled to pieces. The bolt in the door jammed. It even bent under the strain. About twelve men began to drag out the living and the dead. The bodies were wedged so tightly that it was at first literally impossible to shift them. The news spread like rampant wildfire. Desperate mothers and fathers hunted for children in the makeshift mortuaries set up in the local hotels. The bodies were so crushed that some parents reportedly took away the corpses of other people's sons or daughters. One man, a dead child under each arm, met his wife coming to meet him; at which point he fainted clean away. Four children from one house were killed. They laid two out on the table; and two on the piano. In the chaos, one hundred and eighty-three children had their lives not so much extinguished as squeezed out of them. No area of the town was spared: certainly not the district in which Annie and Maria lived. Their house was in Aiskell Street, in Bishopwearmouth. Four nine-year-olds died in Gilsand Street, two away from theirs. A seven-year-old from the next street died. A child of thirteen was found, dazed, in Tatham Street, walking past the Bethesda Free Chapel, holding her dead, four-year-old sister in her arms. For Lizzie Hallewell, the loss of her husband was very nearly compounded by the loss of her daughters. That warning about presents, and their acquiescence in it, had spared them everything except the violent trauma of the experience. The town was scarred by these events for years and years to come. (1) Cormack is listed in an 1830s trade directory in Sunderland as a teacher. (2) Known as “Chinese Morrison”, he was born in Morpeth, north of Newcastle, in 1782, and moved to Newcastle in 1785. He died in China in 1834. (3) Morrison also compiled a Chinese grammar in 1813. (4) Curiously enough, Robert Morrison had also had a spell as a strolling player before deciding upon his vocation as an evangelist.